I've been very diligent about watering my plants and checking up on them. 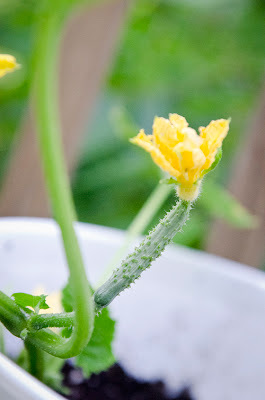 A few nights ago I spotted something on my tomato plant - could it be? 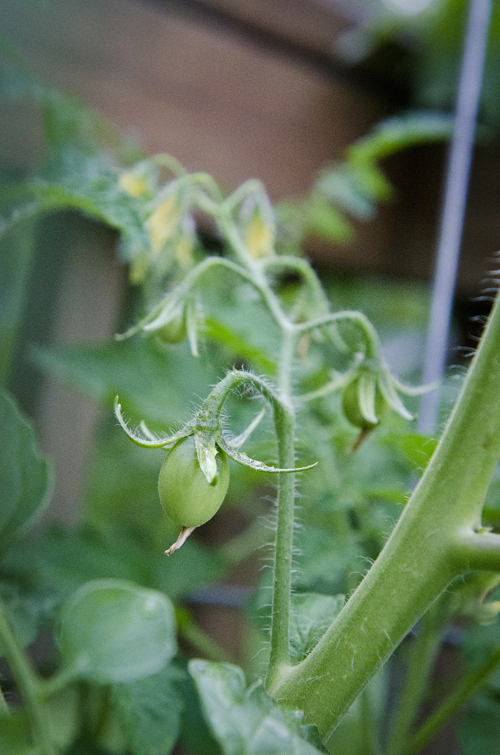 A tomato on my tomato plant?! I had to google it just to be sure, but huzzah! While they are itty bitty right now, both my Early Girl and Roma tomato plants are sprouting fruits. Very exciting for my first attempt to be going so well! A few days after I spotted the tomatoes, I checked out my green pepper and cucumber plants. Nothing happening in the way of green peppers yet (though they did have a growth spurt a few days ago) but I did spot what appeared to be a tiny, tiny cucumber! Once again, I went to google for verification and indeed, cucumber it is! 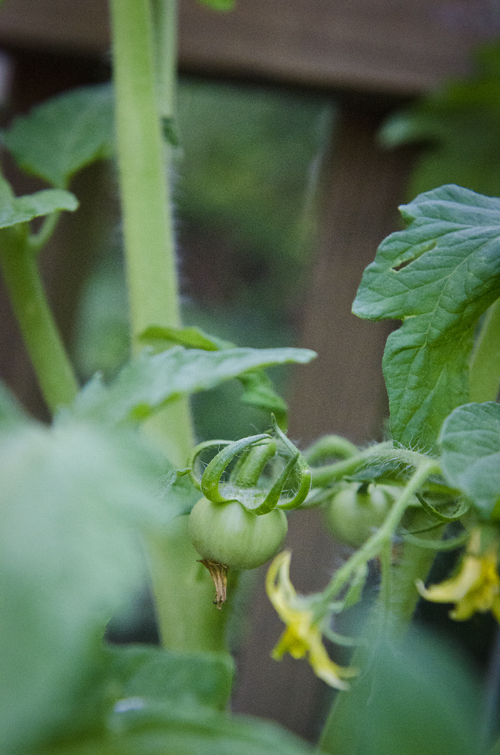 It's amazing how excited I am over my little garden. It's been a really fun, ongoing project. I'm a little worried about what to do as far as watering goes while we're away at the beach, but hopefully there will be lots of rain while we're gone!! 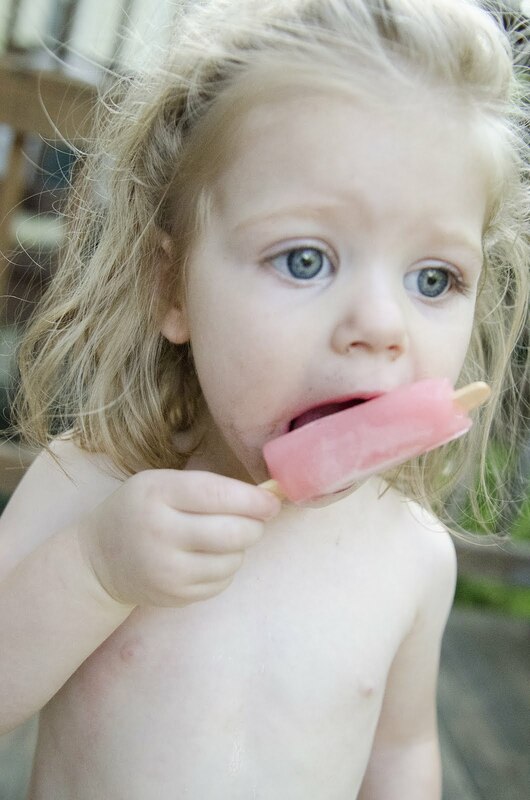 Autumn and her popsicle thank you for your time. I wish I could grow things in my garden, but I have an orange thumb.